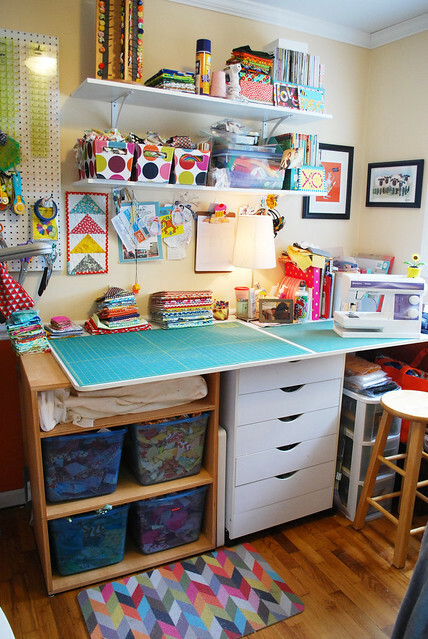 i love seeing sewing rooms! 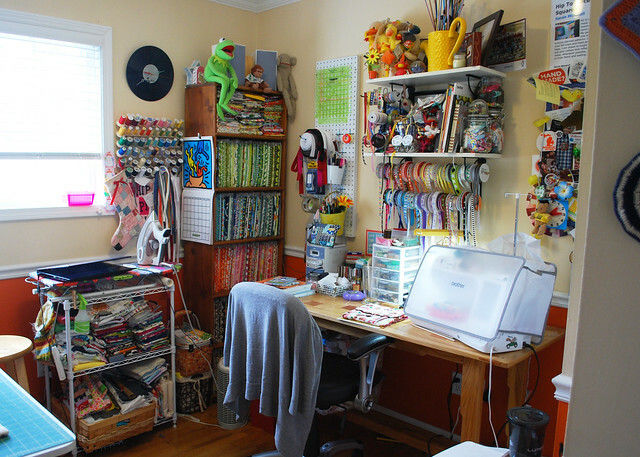 i need to work on mine, which is currently a spare bedroom with a queen sized bed that no one ever uses… unless you count my WIPs and various scraps and strips that live on it. 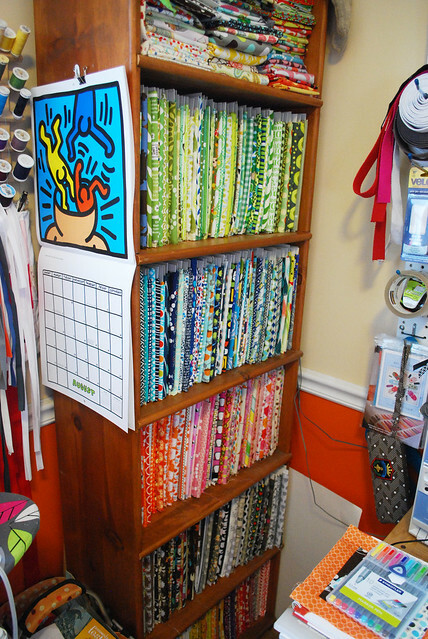 I definitely need a peg board and it would be so great to have my prints stored bolt style so I could “see” them all by color like you have!